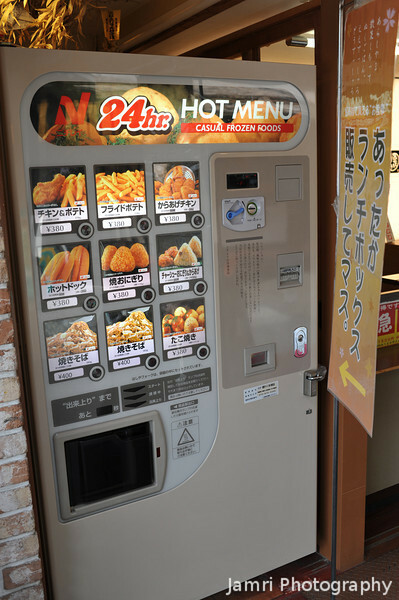 As I have noted before Japan the Vending Machine Capital of the world has plenty of drink and cigarette vending machines, but I can't find any selling chocolate bars and potato crisps like I can in Australia. Well this one kind of makes up for it because it prepares you a Hot Meal! Sadly they're not too common.